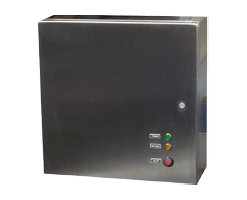 External Battery Back-Up | Indelac Controls, Inc.
ICI’s electric fail-safe device is designed for critical applications where the loss of power to a piece of equipment could be damaging to a system or process. Our electric fail-safe device is a battery backup unit that delivers battery power automatically upon loss of utility power. It can be used as a standalone battery back-up device or in combination with any electric actuator. Upon loss of utility power, battery power is routed to the operator selected designated fail position which drives the actuator open or close as selected. 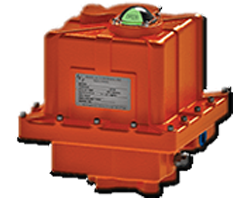 Upon return of utility power the electric fail-safe device automatically reverts to standby status allowing the control of the actuator to transfer back to the controller. Batteries are rechargeable lead-acid designed for long life (four to five years of dependable service life, or between 200 and 1000 charge/discharge cycles depending on the depth of discharge). Temperature ranges from 32° to 115° F.
Standard equipment includes a test switch, red (loss of power) and green (utility power) status lights.